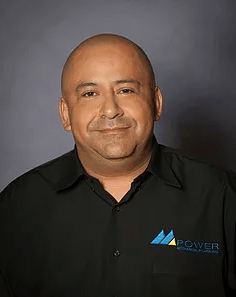 Sam Viana - Mechanical Power Inc.
Sam came to Mechanical Power in 2016 and brought a plethora of Quality Assurance experience with him! Long ago, he had experience running machines and over time has worked his way through the QC ranks via supervision, six sigma continuous improvement expertise and establishing standard operating procedures for ISO compliance. Sam has seen and done a lot in multiple demanding industries. Mechanical Power, its customers and suppliers all value Sam’s rich experience and tenacity to make good things happen. Sam is also the ringleader with lunch gatherings and often brings memorable dishes to the office for everyone’s enjoyment!